Good morning out there Tampa and future Tampa residents! Today we’re dropping in with another great Tampa video moving tip from Big Boys Moving and Storage to get your upcoming move underway! Here is the thirteenth installment of our, “Moving Tip of the Day” video segments! It’s a no-brainer to disconnect your utilities in your old home when you move to a new one, but did you know that many people forget to do it before they’ve been out of their old home for weeks? Our moving tip of the day today is to schedule your disconnect times to make sure that you don’t wind up paying for utilities in two homes! Schedule your disconnect times for after you have moved out but as soon as possible so that you don’t incur any extra fees. 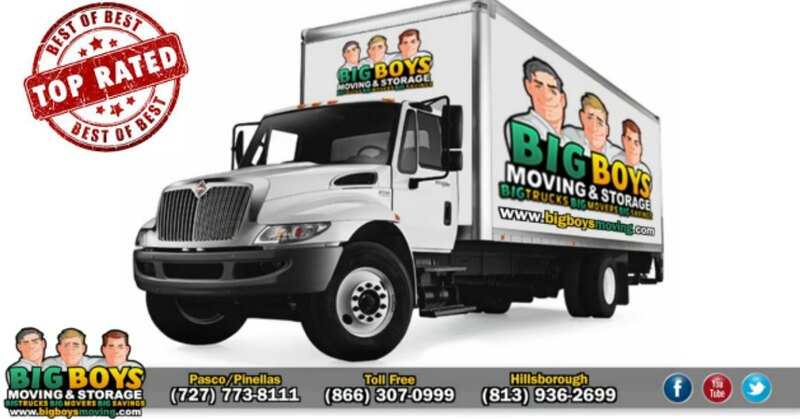 Big Boys Moving and Storage have been named the top Tampa moving company in the Tampa area for NINE years! We have completed moves for first-time homeowners, big name celebs, huge families, small families, corporate offices, gyms…you name it, we can do it and we always do it at a competitive price that won’t break the bank! Need a few more moving tips to get your move underway? Connect with us on Google or Facebook, and check out more of our easy to follow moving tips! Already pushing your moving deadline? Give us a call! And don’t forget to ask about our moving specials so that you can save more money on top of our affordable rates! Just dial 727-773-8111 or 813-936-2699 today!